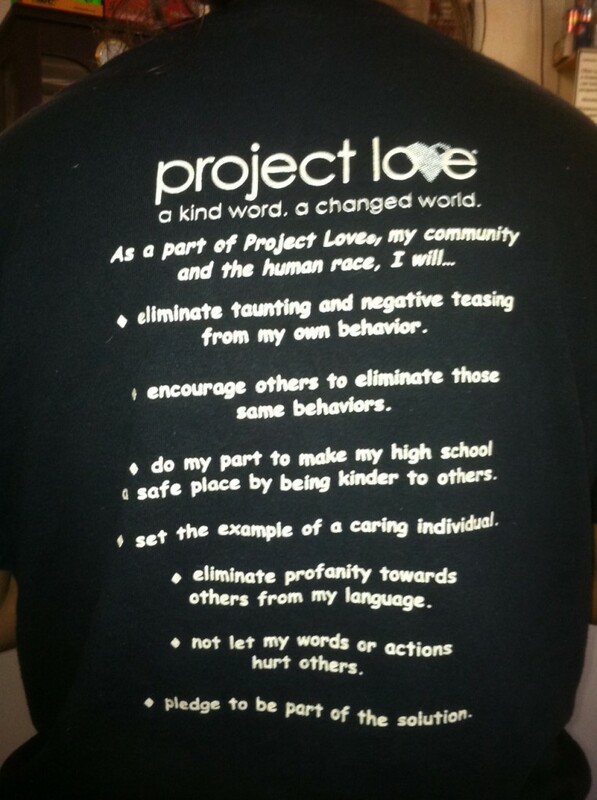 Seeing the shirt worn by the high school student recently, reminded me that it has been nearly 4 years since I talked at Project Love’s, Kickoff for Kindness event. This organization, with an incredible track record, continues to inspire kids to be kind across northeast Ohio and beyond. In 1994, Cleveland insurance executive Stuart Muszynski and his wife Susan, a clinical psychologist, saw the link between violence in the media, acts of teenage meanness, and violent acts in high schools and our society and decided to do something about it. Knowing teens can grasp abstract concepts that may impact them for decades, the Muszynskis created a program to build character and life skills for that group. Based on cognitive psychology, experiential seminars that have changed adults’ behavior, and medical data about the power of visualization and love, the couple created a multi-media, day-long seminar using lessons from history and current events. The seminar was designed to help students understand the difference between being perpetrators, victims, bystanders or rescuers. The goal was to create a group of students who would choose to be rescuers and had been trained in the leadership skills needed to promote kindness and caring in their schools, families, workplaces and communities. This entry was posted on Thursday, June 27th, 2013 at 10:26 am	and is filed under Kindness. You can follow any responses to this entry through the RSS 2.0 feed. You can leave a response, or trackback from your own site.